BREAKING: Globalive Given Green Light To Launch WIND Mobile In Canada! For. The. Win. I would love to see the Rogers/Telus/Bell boardroom meetings this morning! OTTAWA — Industry Minister Tony Clement said Friday the federal government would overrule the federal telecom regulator and allow Globalive Wireless Management Corp. to offer cellphone service in Canada. “We have concluded through normal review that Globalive meets the Canadian ownership and control requirements,” Mr. Clement said in a press conference Friday morning. The much-anticipated announcement comes six weeks after the Canadian Radio-television and Telecommunications Commission denied Globalive’s bid to be the country’s fourth-biggest wireless operator. The CRTC initially said Globalive’s corporate structure violated foreign-ownership rules, as Egypt’s Orascom Telecom Holding SAE held too much control through debt financing. The decision is expected to be a blow to the big three wireless providers — Rogers Communications Inc., BCE Inc., and Telus Corp. — as they fought to keep Globalive out of the Canadian market. He said the decision is effective immediately, and was based on legal facts of the ownership structure â€“ and should not be interpreted as a signal of pending changes to the country’s rules governing foreign investment. In recent days, the federal Conservative has come under attack from opposition politicians for layoffs in the mining sector courtesy of foreign-owned Vale Inco and Xstrata PLC. Canadian foreign-ownership legislation, as pertains to telecom, restricts the number of voting shares that can be held by non-Canadians, to 20% at the operating company level and 33.3% at the holding company level. Further, the CRTC must be satisfied that foreigners do not exercise “control in fact” over the company. The Minister said Ottawa is satisfied with Globalive’s structure, as Canadians will own at least 80% of the voting shares and 66.66% of Globalive’s holding company. Further, the board is dominated by Canadians. His decision was issued roughly an hour before stock markets opened in North America. It also marks the second time that the Stephen Harper-led Conservative government rewrote a 2006 CRTC decision dealing with deregulation in the local-phone market. As it happened, Industry Canada had initially approved Globalive’s application last March. He said cabinet has the right to review CRTC decisions, and that differences of opinion between arms of government are not unusual. The cabinet signed off on the decision on Thursday. “This is and should be a subjective test, so it is possible that two branches of government could reasonably come to two different conclusions,” Mr. Clement said, noting he consulted with provincial government prior to issuing his decision. Prior to Mr. Clement’s announcement, potential rivals were already playing down Globalive’s potential entry. 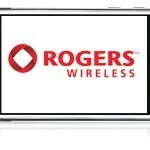 On Thursday, Rogers Communications Inc. chief executive Nadir Mohamed told Bloomberg News that Canada’s wireless market can’t sustain a fourth national mobile carrier. Alright Apple, wake up! There is a new iPhone carrier in town! Launch cities are Toronto and Calgary. The company is looking to launch within the next two weeks.